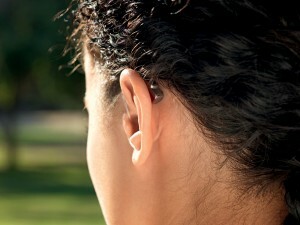 There are many different types of hearing aid, however, the styles remain similar across manufacturers. Some manufacturers may use different names but the overall concept is the same. The different types have different levels of suitability for Patients. 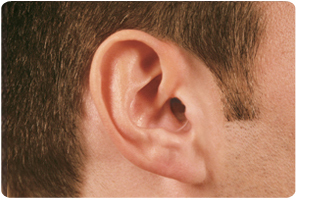 Suitability can be limited by level of hearing loss, size and shape of canal or conditions of the canal. Suitability can also be limited by the dexterity and vision of a Patient. Extremely small, custom made hearing aids that fit completely deep in the ear canal. Cosmetically invisible and usually suitable for mild to moderate hearing losses. Very small, custom-made hearing aids that fit completely in your earcanal. Cosmetically very good, can be seen but just barely, suitable for mild to moderate hearing losses. As with the IIC they can be difficult to handle if dexterity or vision is an issue. Contra indications to their use are the same as with CICs and would be sweaty ears, ears prone to infection, ears prone to the over production of wax. Slightly bigger custom made hearing aids than the CIC . Traditionally manufacturers have used ITCs to deliver slightly more power, due to the bigger size, it allows for more output. They are often suitable for mild to moderately severe hearing loss. They generally tend to have a bigger battery, which means longer battery life. Some may also have directional microphones. As with the IIC and CIC they can be difficult to handle if dexterity or vision is an issue even though they are bigger. Contra indications to their use are the same as with IICs and CICs, sweaty ears, ears prone to infection, ears prone to the over production of wax. Much bigger custom made hearing aids than the ITC, and much easier to handle.Because of the bigger size, it is possible to have more features added to the hearing aid such as directional microphones, programme button and even a volume control depending on manufacturer. Cosmetically they are discreet but visible, in fact a RIC device which we will discuss later is probably less visible. Although dexterity issues are not as common place with half shell aids, it is still something that needs to be considered if dexterity or vision is an issue for a Patient. Contra indications to their use are the same as with all of the custom aids, sweaty ears, ears prone to infection, ears prone to the over production of wax. The biggest of the custom-made hearing aids. Bigger battery, which means longer battery life. Covers mild to severe hearing losses. Due to its size, it is possible to have manual features such as volume control, programme button etc added to it. Most Full Shell hearing aids would be dual microphone aids. Cosmetically they aren't very discreet, RIC devices which we will discuss later are certainly less visible. Dexterity is not usually an issue with aids of this type. Contra indications to their use are the same as with all of the custom aids, sweaty ears, ears prone to infection, ears prone to the over production of wax. The most versatile of all hearing aids, they can suitable for mild to profound hearing losses. Bigger batteries, which means longer battery life. Due to its size, it is easier to handle and can have many physical features added to it. They are more reliable normally than custom aids, because the most important parts are kept well away from the hostile environment of the ear canal. Depending on the type of aid and the connection to the ear that is used they can actually be very discrete. Many BTEs can be fitted with a thin tube and dome for both open fit and closed fit type of losses, this makes them very discrete options. There are no contraindications to using a BTE apart from if you don't have an outer ear. A more recent addition to hearing aid types, sometimes called Receiver In The Ear (RITEs), the are very small and discrete because the speaker part of the aid (the receiver) is removed from the hearing aid body. 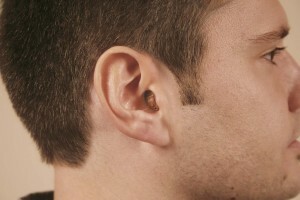 It looks like a very small BTE hearing aid, however, the speaker part is placed in the Patient's ear canal. This improves the sound quality and allows the hearing aid to be fitted on hearing losses that stretch from mild to profound.